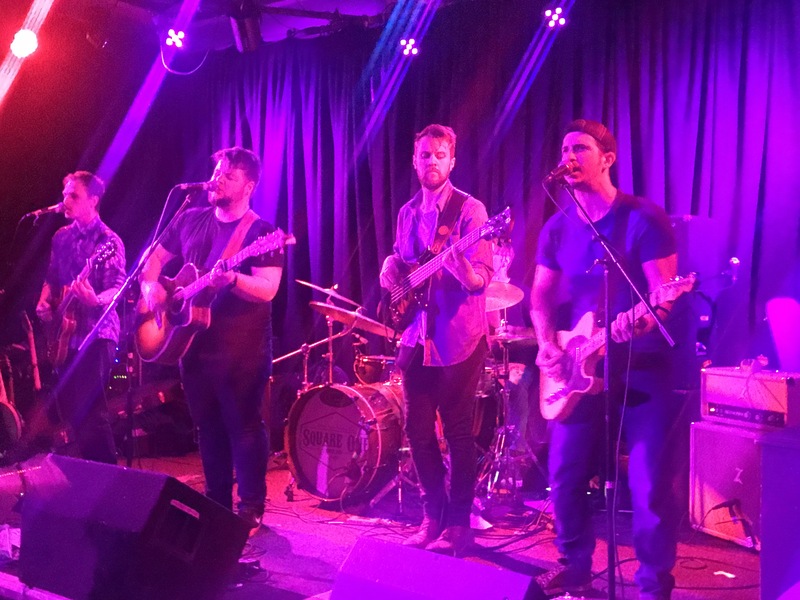 On the bill with Square One, Backwoods Creek rocked Guildford with their classy county rock, with an engaging style ranging from country to rock to honky tonk. Backwoods Creek is five guys, all great musicians, creating a vibrant and lively atmosphere. The band went down a storm and played with a maturity beyond their years. The set began with Keep Off The Grass, a country rock number with great vocals and then into Memory Lane. Catch All The Fish was “a faster one to dance to” which certainly got the people at the front moving. Miles And Miles from the group’s upcoming EP is a cracking track and the group previewed as new song When I Grow Up. Don’t Take Much is an interesting number, slow quick slow quick, and showed the band’s versatility. The group’s first single Freedom Of Wheels got a run out and then the honky tonk good-time boogie of Drunk closed the set. How do you follow Drunk? With Chicken Fried (Zac Brown Band cover) of course. This was the perfect end to a great evening of fabulous UK Americana rock. A good live band to watch out for in the future.